[Closed] Ssiksin Chicken – Korean Fried Chicken with Crunchy Skin Juicy Meat + Giveaway! Say Chimaek! 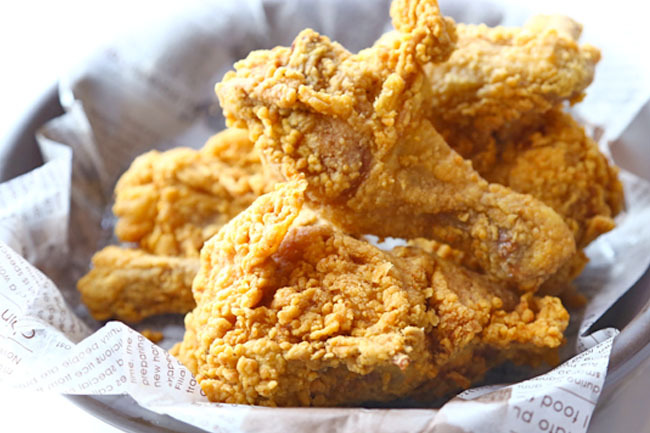 Korean Fried Chicken continues to be widely sought after in Singapore, for their crackly battered skins and juicy meat. Now THIS New Korean Fried Chicken looks set to be the NEXT brand that will get some popularity. 맛있는. 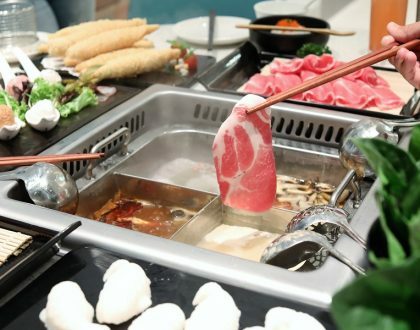 Ssiksin Chicken is located at Serangoon NEX, right next to Korean BBQ Buffet place Daessiksin, sharing space with another Korean bingsu shop Snowman Desserts. Ah, same owners from Korea. Korean Fried Chicken is generally eaten with families, colleagues and friends in their country, thus you would find mainly big portions of chicken in many of the menus. The first major change that Ssiksin Chicken took was to offer 2 pieces set, while keeping their 4 pieces and 8 pieces options. Yeah to individuals like me who likes to go eat fried chicken alone (after feeling stressed). From the appearance alone, you would see this hot shattering crunchy crust enveloping the chicken, the type will go “Crrrrrrrrrrr!” when you put in your mouth. After we came back to the chicken after some time, the skin was still rather crispy! Good stuff. But the real highlight to me was the inside which remained moist and juicy, yet not too greasy – whether it was the drums or wings. My next favourite was the Spicy Seasoned Chicken ($9 for 2, $16 for 4, $30 for 8) where the chicken was evenly coated with a sticky-salty-spicy sauce specially imported from Korea. I hesitated a while and was frank enough to tell him, “Almost the best”. I thought about what was lacking – the chickens could fare better with more seasoning, a more flavourful taste. Wanting to still go a more Korean style, Ssiksin Chicken also offers a variety of dishes suitable for sharing – Hobak Buldka steam pumpkin with spicy chicken ($28), Ohsam pork and squid Bulgogi ($35) and Andong Ggim Dak spicy steam chicken ($28). From this initial tasting and some online reviews (people are fast man! 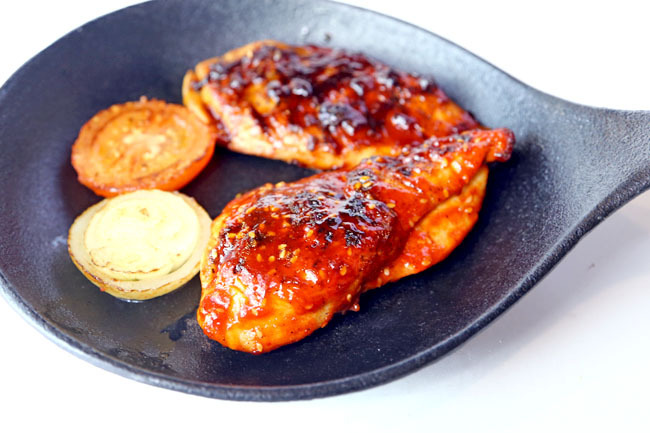 ), Ssiksin Chicken looks set to give its more established competitors a run for their money. Given some time to fine-tune, they may just take the crown of the best Korean Fried Chicken in Singapore. 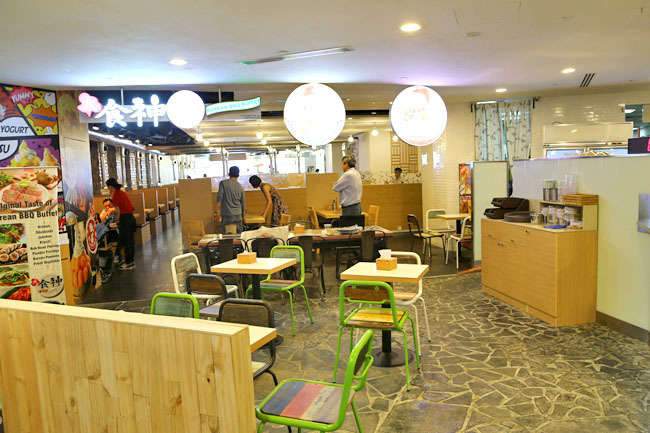 Ssiksin Chicken will be rewarding 5 readers from DanielFoodDiary.com with an 8-piece Korean Fried Chicken combo. Masitssoyo! Step 3 – COMMENT below: Tell us why you like Korean Fried Chicken? *This post is brought to you in partnership with Ssiksin Chicken. I think nothing beats the Origical Spicy Fried Chicken Wings, YUMMY! because it is korean fried chicken! Korea fried chicken are more crispy and with different favours available. Definitely more exciting then the ones we normally have at fast food chain. Hope to win this to try this new offering of Korean fried chicken. The pictures simply looks too appealing . I just wanna bite into that crunchy chicken! I love Korean Fried Chicken for their crispness and spicy hot sauce! Great to share with good friends and colleagues! Used to buy them for my ex-colleagues who are crazy over the wings! Oh, best have the fried chickens with Korean salads. Compliment the heaty stuffs…. Korean Fried chicken + Beer = awesome!! I love chickens especially fried chicken. because it is simply delicious and my girls all time favourite korean fried chicken!! Ooooh the crispy skin and juicy meat. ….I love it! Totally in love with KOREAN fried chicken! Thank you! No other fast food chain chicken can beat korean fried chicken. From their famous Seasoned Spicy , Soy Sauce Chicken & of course their Original crispy chicken. Korean Fried Chicken is the Best! Definitely goes well with Beer. Yum Yum Yum… Craving for it now! Korean fried chicken is delicious! Savoury with a little heat, their skin is crisp and separated from the meat by a layer of juicy fat. I like the korean fried chicken coz its so juicy and tender. I’m in love with Korean fried Chicken! Love to check them out. Love it’s super crispy and crunchy skin yet moist and juicy meat(seasoned and original)! It’s crispy, juicy and not greasy! Thanks! Always like to read your food reviews & get my friends to go try the eats you recommend. 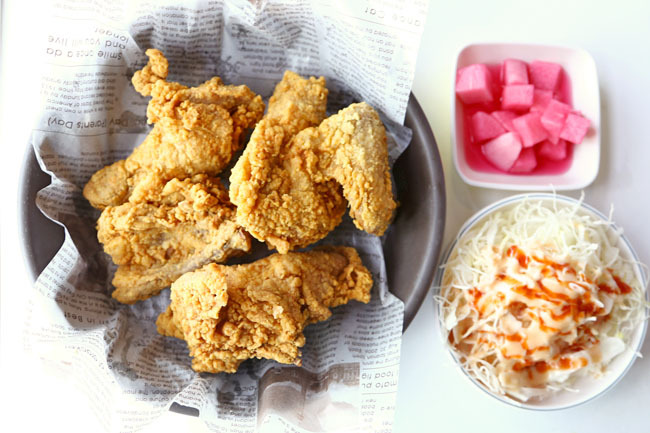 Wow now we are craving for some good Korean fried chicken & K-food! would love to check out the highly-raved korean fried chicken! korean fried chicken coz its so juicy and tender. Wow, sure looks good! Can’t wait to try! Chimek. Korean Fried chicken & beer – simply the best! The crispy crust and nicely fried appearance definitely yields for the most yummy meal for any time of the day! Korean chicken are usually fried twice, that is why the skin is crunchier and less greasy. They usually use younger chicken, which results in the meat being more tender. That’s why I love it! I love fried chicken! Drooling! I like it cos they have nice crispy skin and the various sauces that were offered with the fried chickens just made them so much tastier…and this is probably one of the fried stuff that is worth the guilt! I love fried chicken because it is juicy and yummy! Fried Chicken is one of my favourite and I am kind of addicted to it! Who doesn’t right? 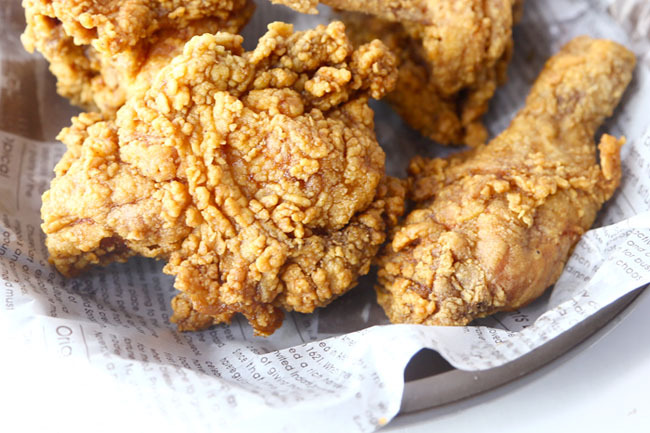 Deep fried chicken with crispy skin and moist, juicy, tender meat.. I dare to say not a lot of people love it as much as i am. Once, I finished eating 20 pieces of korean fried chicken at a go!!!! That’s one of the challenge i did with my friend and I simply love it!! 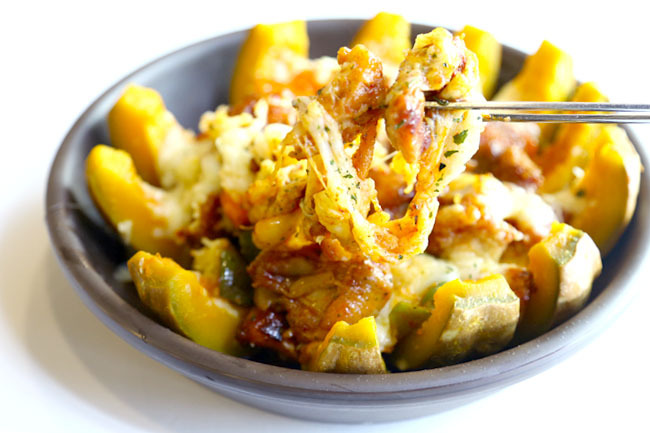 I can’t wait to try out Ssiksin Chicken after reading your posts! Hope to win!! or chilli both are my favourite foods. I love Korean Fried Chicken because it goes well with Beer! I am coming in right now for the korean fried chicken. Best Korean BBQ Buffet ever!! Korean Fried Chicken is crispy, juicy, tender, and goes well with my favourite chilli sauces! Korean Chicken is more crispy n not oily! I have not try yet. But while looking at it already make me droopling. It so crispy sure tender, juicy inside. It has many other variety of choices dishes too.. oh .. choose me i wanna bring my whole family down..
Why I LOVE Korean Fried Chicken? Because it’s super nice and always irresistible to it whenever I see it!! i think it might be under the influence of “My Love from the Stars”, it seems that beer goes exceptionally well with korean fried chicken, somehow when tried with other fried chickens, it is not as awesome. so simple reason, i like it with beer! ♥ it because its even crispier & more succulent than the others and less oily! What’s not to love about Korean fried chicken? It’s fried, crunchy and juicy and most importantly, taste way better and less oily compared to traditional fried chicken! My absolute fav! Super love Korean food especially chicken! Singaporeans will definetly think why pay $8 for a 2 piece chicken when u can get a 2 piece kfc meal at a cheaper rate? But the difference is the plump and juicy chicken parts as well as the ultra crispy skin!!! thanks for the giveaway. I would like to win very much. Korean chicken is the best! Juicy, tender and full of flavour! because they are usually very crispy on the outside and juicy inside! 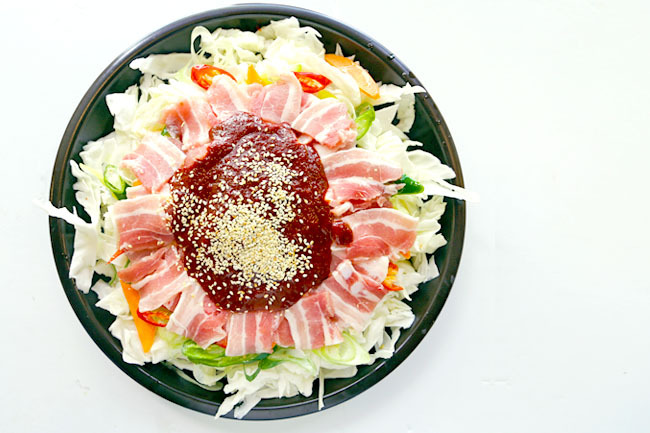 N I simply love everything about Korean food and culture ! Juicy,succulent chicken waiting to be stored in my stomach! Hi Daniel, thanks for doing this giveaway! not bring him along! Hahaha! Hope I could be one of the lucky winners! Thank you.. Thanks for the chance! I love fried chicken of all kinds and would love to bring my mom on a lunch date. I like Korean Fried Chicken because it’s much more flavourful & crispier yet not as oily compared to other fried chicken fast food joints. Furthermore, I am a Korean food lover! Major fan of korean fried chicken! Would love to try this!!! Really hope to try out this fried chicken with my family. Korean fried chicken are simply delicious and addictive! Thanks! I think Korean Fried Chicken is addictive for us, even my kids. Once we tried, we cant help thinking about it. The mild ones are satisfying on its own. The fiery spicy ones really gives an extra kick and ohmp to the usual fried chicken! Hope we can have a feast again soon! Pick Us! Pick Us! fried chicken is my favourite food since young, so I’ll enjoy this one for sure! I love Korean Fried Chicken because it makes my mouth water just by the thought of it! Do i need to say more? They always serve the chicken pipping hot! And is crunchy and juicy! The look on the crispy fried chicken makes me drool. Can’t wait to taste it and savour the crispiness with my family..
Am sure my boy n girl will love it! 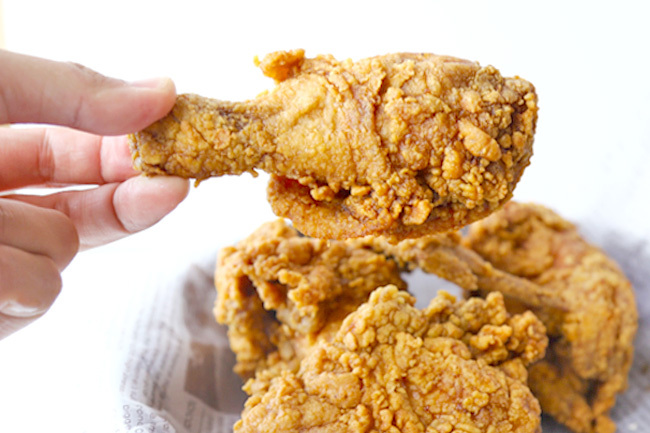 I love fried chicken very much because it juicy and tender. 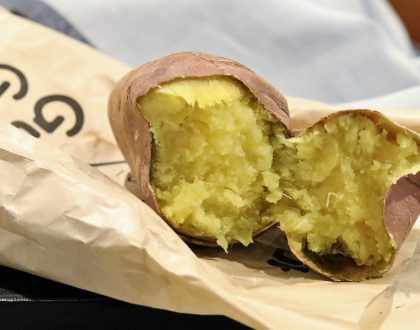 its very crunchy yet retained its tenderness and juiciness! A total chicken lover especially korean fried chickens!! Had been eating them so often that my friends impression of my meals are all about chicken! Would totally love to try this out!!! My love!! Uber uber missing the crispyness of the chicken in korea! Kyochon daebak! Hahas… would definitely love to try this out here! It is so crispy and juicy. It goes so well with soju or beer! Because you don’t have to scrape the fat off the underside of the skin and you get to enjoy the crunchy chicken skin!!! Korean chickens are big and juicy and yummy. They are well marinated and taste great with anything! Korean Fried Chicken is my all time favorite!!! I’ve a crispy love for tender meat and a tender love for crispy skin! And Korean fried chicken best satisfies my lovvve! I love how Korean drink beer while having fried chicken. N I really wanna try this out with my friends. I believed the chicken must be really appealing and yummy. I love eating fried chicken with beer while watching Korean drama! Imaging myself in Korea. Hahaha…. BTW, I’m bore to be a chicken lover! Anyway of cooking I also love it! Super love Korean Fried Chicken! Awesome! Hope there’s chance to try this! Korean Fried Chicken is marinated differently and also fried just nice, crispy on the outside and juicy inside. Until they arrived, I never thought chicken can be made that way because I am only familiar with KFC and the nasi lemak fried chicken wings. Korean Fried Chicken is marinated differently and fried just nice, crispy and juicy. I especially like the spicy and garlic flavours. Pick me. I want to win the chicken combo because i want to try out the cripy chicken. Looks yummy and would love to try them! Liked and shared. I love Korean fried chicken bcos I felt their batter is crispier! And their infused versions such as the spicy seasoned ones made my mouth watered!! Hope I could win it & bring my wifey there to taste them! Ssiksin and Chir Chir? Singapore is getting all the good KFC brands now. I must say the portion sizes here at Ssiksin look HUGE, and it’s quite good value too IMO. I will always have a place in my heart for 4 Fingers – although do people view that as American, seeing as it’s an American brand? 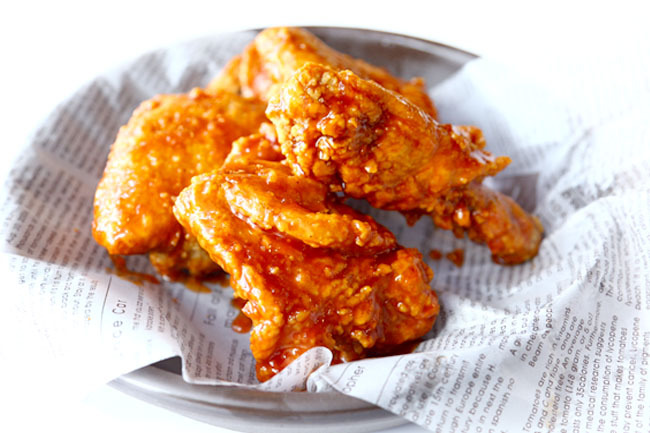 For true Korean Fried Chicken, possibly Ssiksin will take the mantle! I Love Korean Fried Chicken because they are more creative in terms of their fried chicken sauce/ coating preparations. Thumbs up to Korean Fried Chicken! Masitssoyo!!! Think KFC has gone stale and now is the time for the Korean fried chicken to take over!!! Korean fried chicken is super nice. Another great KFC. I am simply crazy over Fried Chicken (KFC, Jollibees, 4-fingers, chir chir..etc)…and like to go exploring places for nice fried chicken. Korean Fried Chicken are special favourite especially with the various favour option where 1 is simply spoilt for choices. The crunch of the crispy skin when bite, the juicy tender meat inside the mouth.. i wish i can try Ssiksin Chicken now.. Simply because it’s juicy! SUCCULENT! Crispy on the outside and tender on the inside! Who can say no to such delicacy! Gosh I am drooling…. even my baby in the womb agrees by kicking when I asked him if he likes Korean Fried Chicken! It’s an amazing experience! I like Korean Fried Chicken because the chicken is seasoned, the skin more crunchier and less greasy. The Korean Fried Chicken also have many flavors and sauce to dipped for. I would like to win Ssiksin Chicken as it looks so yummy and crispy! Daniel post makes me drools!! Korean chicken, by far are the best fried chicken my family and I have eaten. Crispy instead not oily on the skin , tender and juicy on the inside. Awesome!! love anything that is korean and fried chicken.. sinful and yet cannot resist. Korean fried chicken is crunchy, spicy, flavourful, and perfectly nongreasy. I like Korean Fried Chicken for its crispness and the tender taste ! I super like Korean Fried Chicken because it is crispy, tender, juicy and healthier (less oily). Thumbs up for Korean Fried chicken!!! I love the oozing juices when I bite into Korean fried chicken! I love the many choices of sauces that I can dip the chicken into! I love Korean food especially Korean Fried Chicken because it’s crispy on the outside, juicy and tender on the inside! Korean fried chicken is delicious, it’s crispy on the outside, juicy and tender on the inside! Like is an understatement, I love Korean Fried Chicken. Mainly because of the tasty sauces and seasoning that they use. It is something different from the plain old fried chicken that we are used to eating growing up. And it’s so finger licking good! I like Korean fried chicken because its yummy crispy and juicy tender minus away the greasiness! I like Korean Fried Chicken because Korean Fried Chicken they have refreshing taste compared to KFC! Having some Crunchy Fried Chicken over beer with good friends! Simply Daebak! fell in love when i first ate it in seoul. the sauce is what really makes SsikSin Chicken and korean fried chcken different from all the rest. YUMS! I love Korean Fried Chicken because I matches well with a lot of food and drinks, and most important it is even yummy when eaten alone too! Yums! Love korean fried chicken because it’s so 대박 (Daebak) that I can never ever ever ever ever~~~ “say no”! Omg. I always secretly hoped that there will be korean chicken at nex, and my wish came through! 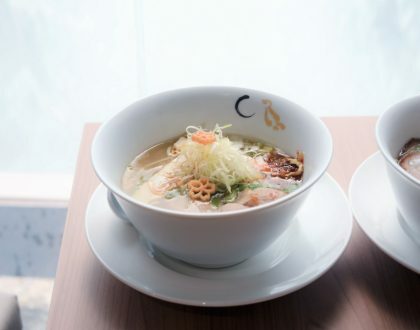 Now I really wanna just walk over to try it, and if it’s good, it’s gonna be my regular lunch place and might even become my always ba dao dinner place!!!! I like my korean chicken hot and spicy to the extend u go “slllllllll” and gulp a full mouth of beer with it. Well that’s HEAVEN! Crispy skin and juicy tender meat. Korean fried chicken with its uniquely Korean cooking style and choice of flavors is mouth watering good. Would love to try this new chicken! One of the best Korean Fried Chicken I’ve tried in Singapore! Love the spicy season version too! Yummilicious! Just to feedback on my experience in ordering takeaway on a busy Saturday night. First I had to join the long queue for dine in customers. Next I had to join the cashier queue to place my order. I was second in the queue but i was bypassed for the ones behind because they were going to make payment. I had to insist very firmly that they take my order. it was not fair to me if you keep letting people in after me, take their order, clear the cashier queue and then come to me. I kept getting pushed back! Perhaps management could consider proper takeaway order procedures. That said, the chicken was yum. Improve the service and inconsistencies – I heard some wrong orders – and Ssiksin Chicken will be a winner. I am in love with Korean fried chicken due to its tenderness and crispness. I read that Korean Fried Chicken are normally prepared by double frying which help removes the fat from the skin to get a more crunchy exterior. They are then either tossed in, or served with a variety of sauces, mainly of Asian origin like garlic or soy sauce, compared to western ones like BBQ or ranch sauce. The more crunchy exterior gives a really satisfying bite, and then the juicy tender meat beneath will complement the flavourful crispy skin. They are best eaten piping hot. wa, can’t wait to sink my teeth into one now! It’s because Korean Fried Chicken is Best Fried Chicken ! Simply bc K.F.C is the latest in f00d everywhere! KOREAN FRIED CHICKEN IS SO GOOD. with radish and soju and great company! korean fried chicken is the best tasting fried chicken. <3 really happy to know theres now an outlet at NEX! thank you! Who in the right frame of mind will reject Korean Fried Chicken? I love the korean version of fried chicken because of its double frying method, which removes most of the fats but yet still render the meat beneath ever so moist and juicy. The most sinful part of a KFC is also the best part. My favourite will have to be the soy marination.. Its just so savoury and delicious! No words can be used to describe my love for KFC.. I even dreamt of it that night! Cant wait to give this a try. I love Korean Fried Chicken cuz it’s simply too delicious.. Yum yum! Crispy crunchy skin accompanied with juicy tender meat, what a perfect match with some beer or soft drinks! Nothing beats fried chicken! Nothing! The Koreans made this even better by pairing fried chicken with soju! Crispy skin, juicy meat, paired with spicy sauce makes Korean fried chicken a delicious supper snack for my family! We have recently discovered Korean fried chicken and it has been our favourite supper food ever since. Love all Korean foods especially fried chicken..won’t get sick of it even eating it everyday! nomnomnom! I wanna try some too! i cant believe anyone can fry chicken until so tender and juicy..proof me wrong! I wanna try some fried chicken! I love the crispy skin and juicy meat, the juicy flows when you bite through the crispy skin is heavenly! Andong Jjim Dak!!! havent been able find anything that taste like the authentic korean ones in sg, thus i would to try it out~! Looks so so good…. love korean fried chicken (KFC) all the time … One of my must order dish when I am at korean restaurant … Can I have some ? Korea fried chicken are more crispy and with different favours available. Definitely more exciting then the ones we normally have at fast food chain. Hope to win this to try this new offering of Korean fried chicken. The pictures simply looks too appealing. Look so crispy and so many good review on it. Please let me try as I love fried chicken. Thanks. I love Korean fried chicken because I watch too much Korean Drama that have the scene of eating fried chicken and it making me drooling 🙂 & love Korean fried chicken <3 …but really their fried chicken are daebak,awesomely Yummy!!!! I love fried chicken and anything Korean! I like Korea fried chicken because it’s juicy. I like Korean fried chicken because it’s crispy and juicy but does not have the greasy feel when you eat it! Best with some beer! i feel that Korean fried chicken are so much more natural sweet tasting meat .. The skin is fried to perfect crispness which is constant in texture no matter how many times I try at the same shop. I love korean fried chicken as it is crispy and juicy which allow one to enjoy as much as possible! I also want to try various kind of fried chicken. Korean Fried chicken are always thumbs up…….Yum Yum. That is why I got stomach full of chicken. Hohoho!!!! Must try for Korean fried chicken, and especially with the spicy seasoning, gonna blow my mind off!! Shiok! Simply love crispy & tender korean fried chicken. Non greasy , and perfect to have a pieces pieces in 1 go.. Must try man! I like Korean fried chicken , of cos is their crispy crunchy and juicy bite , and their sauce! Love it because it is just so yummilicious! And my kiddos love it as much as i do! I like Korean Fried Chicken because it is available in soy sauce flavour. 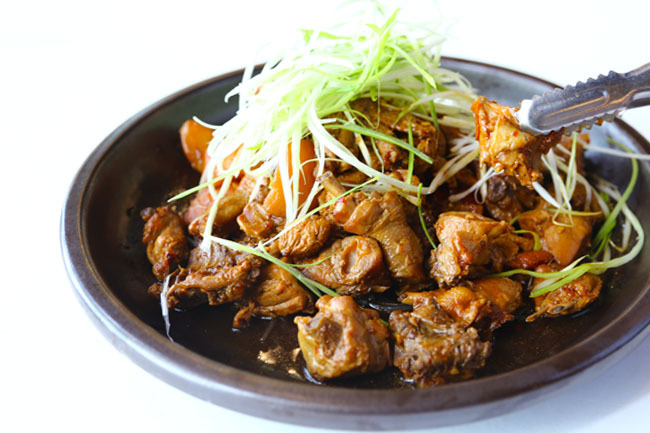 It is like a combination of western style fried chicken with the asian style of cooking, which produces this unique dish. I LOOOOOOOOOOOOVE korean fried chicken because the skin is cooked to perfect- crispy and light yet it is not greasy (and this is partially because it is served with sides like the pickled radish). Biting into the meat, the meat is juicy and moist. The experience of eating a korean fried chicken, is unlike eating any other ordinary chicken for the former provides a multitude of textures and flavors with the moist, well-marinated chicken meat together with the crispy skin. I also love how korean fried chicken are usually served with a myriad of sauces which provide a uniquely different fried chicken experience with sweet, salty and spicy flavors hitting the roof of your mouth all at the same time.